General Hospital (GH) spoilers for the next two weeks tease that we’ll see plenty of mysteries. During the week of January 8-12, Franco (Roger Howarth) will try to crack a case. He doesn’t understand why he would want to kill his childhood best friend. Drew (Billy Miller) was like a brother to him, so the idea of Franco hurling him down the stairs doesn’t make sense. There’s a good chance there’s much more to the story. Franco may not have been quite so sinister as a kid, but it’ll take some work to figure that out. While Franco seeks answers, Jason (Steve Burton) and Sonny (Maurice Benard) will ponder other secrets. They need to determine who Faison’s (Anders Hove) son is so they can use him to their advantage. Anna (Finola Hughes) will carry out a plan to help Sonny and Jason. 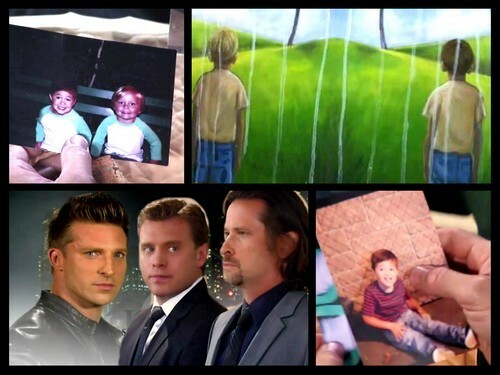 General Hospital spoilers hint that it could yield some surprising results. Elsewhere, Molly (Haley Pullos) will rip into her mom. She’s never afraid to speak her mind when it comes to Alexis (Nancy Lee Grahn). If Molly senses that Alexis is falling for Julian (William DeVry) again, that’d be a solid reason to take a stand. Alexis will also give Sam (Kelly Monaco) some tough news. After Sam asks for assistance with her divorce from Jason, plans will go awry. Ending this marriage will take some real effort. The week of January 15-19 will bring another request for Alexis. Ned (Wally Kurth) will want Alexis to pitch in with something important. This will probably involve his run for mayor. It appears Alexis may not be too keen on helping Ned out. He may have to find other ways to get what he wants. Elsewhere, Jason’s investigation will lead to a crucial clue. He’ll soon be a bit closer to finding out the traitor’s identity. Jason will hope that he can finish up this phase of his mission and begin the next one. Other General Hospital spoilers say Maxie’s (Kirsten Storms) worries will start to consume her. She’ll do her best to put Faison and his threat out of her mind, but she won’t have much luck. Maxie’s stress could take a toll on the baby if she’s not careful. Across town, Franco will face a bombshell. He may have to dodge some bullets if Liz (Rebecca Herbst) gets too curious about his past. Franco lied once again and doesn’t want Liz to find out about this last whopper. Of course, the situation might shift if Franco learns he wasn’t at fault for Drew’s incident. His deception is a problem, but at least he’d feel a little better about things. Finally, GH spoilers suggest that Ava will focus on her future. It sounds like her procedure will go well, so she’ll think her life’s looking up. Unfortunately, Ava’s probably doomed. The moment a soap character’s world seems perfect, everything tends to fall apart. We’ll give you updates as other General Hospital details emerge. Stick with ABC’s GH and don’t forget to check CDL often for the latest General Hospital spoilers, updates and news. 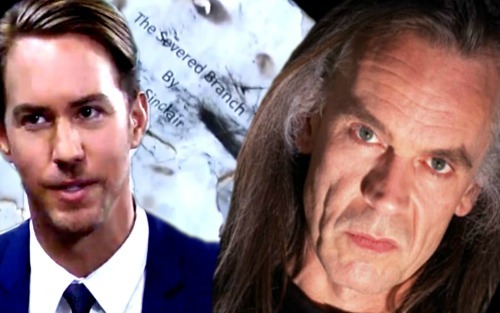 General Hospital Spoilers: Valentin Rattled by Bizarre Phone Call – Did Valentin Put Patient 6 In The Clinic?